Designed exclusively for Footlocker, the new Hanford Sneaker from K-Swiss hits the shelves on the 5th of March as part of the trainer store’s spring range. Taking inspiration from the K-Swiss Slybin from 2006, the Hanford features five woven K-Swiss stripes on the quater panel, still visible under a pair of jeans. 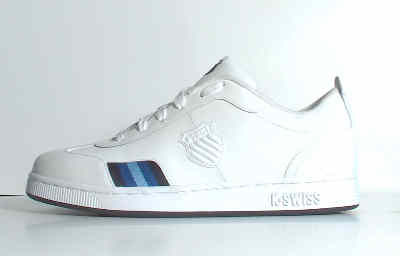 The trainer comes in white, navy, classic blue and white/celtic green, and retails at the bargain price of just Â£49.99!